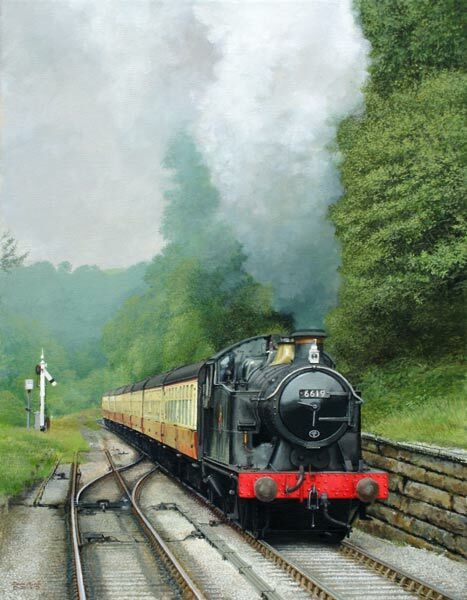 Born 1944 in Liversedge, West Yorkshire and currently residing in The Lake District - David's interest in railways began at the age of nine when he first visited Heaton Lodge Junction. 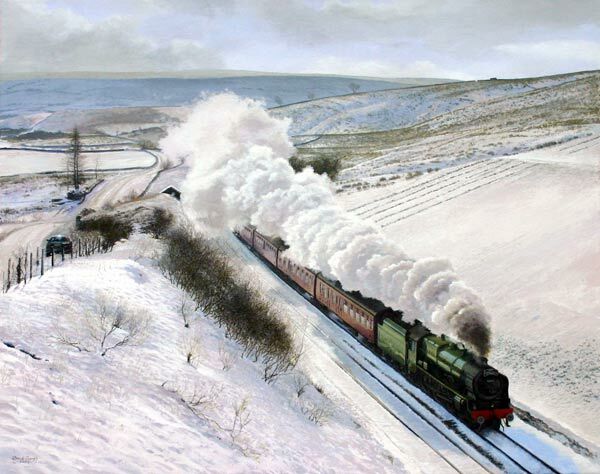 His working career began as a commercial artist in the photographic industry before spending the next 40 years as a carpet designer, after which David was finally to realise his dream of working on the railways - unfortunately as a station cleaner - the job he retired from. 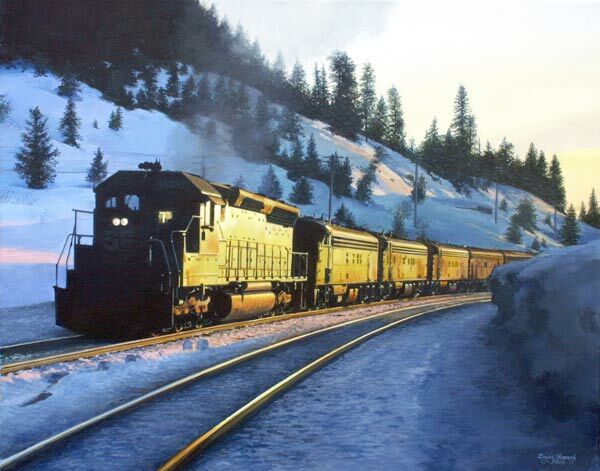 Retirement allowed him to devote his time to his favourite hobby of painting and photographing trains. Acrylics and watercolours are his preferred mediums. David also finds time for his other passion in life - Brass band music. He currently plays euphonium with Burneside Brass. 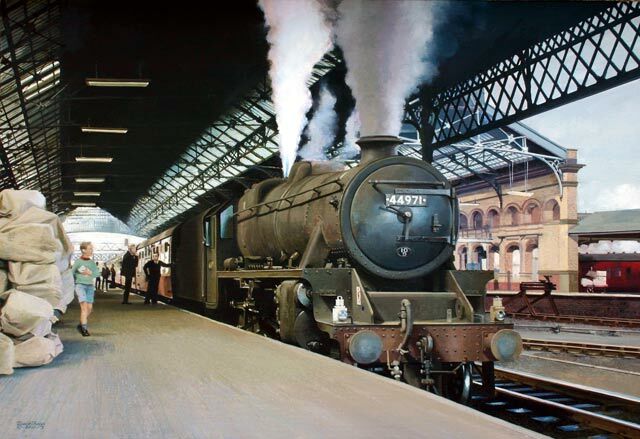 Stanier Black 5 at Preston Station. 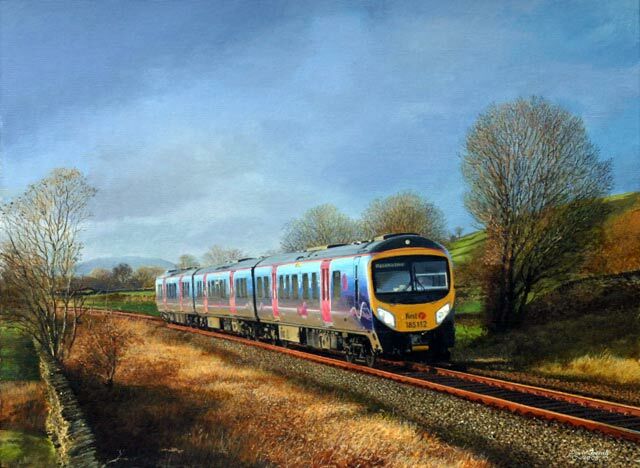 Class 185 three car DMU at Black Moss, Windermere in 2009. 45231 The Sherwood Forester at Ais Gill. 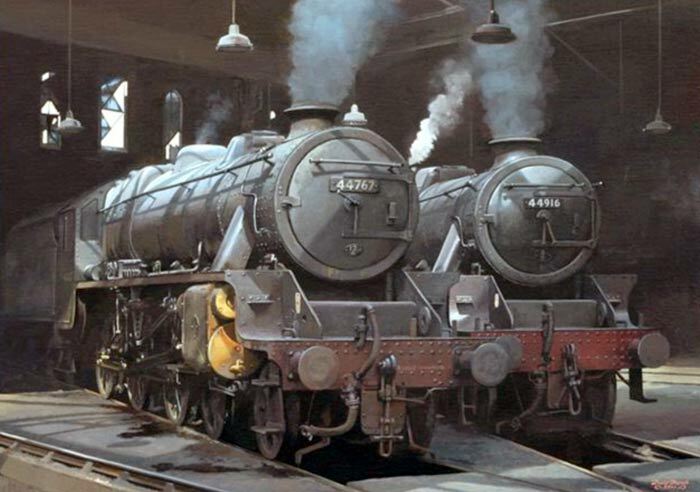 Stanier Black 5's seen inside Holbeck engine shed (55A) in 1966. 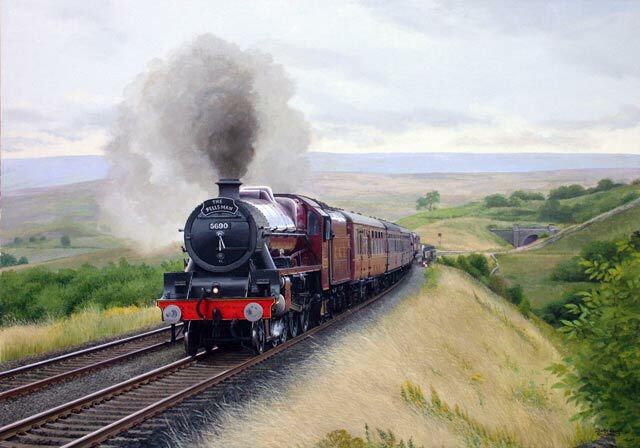 Jubilee class No.5690 'Leander' crossing Lunds Viaduct. 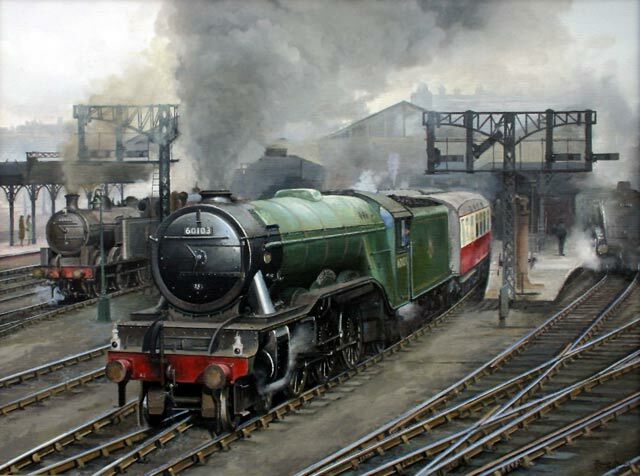 No.60103 'Flying Scotsman' departs Leeds Central with a London bound express in 1956. 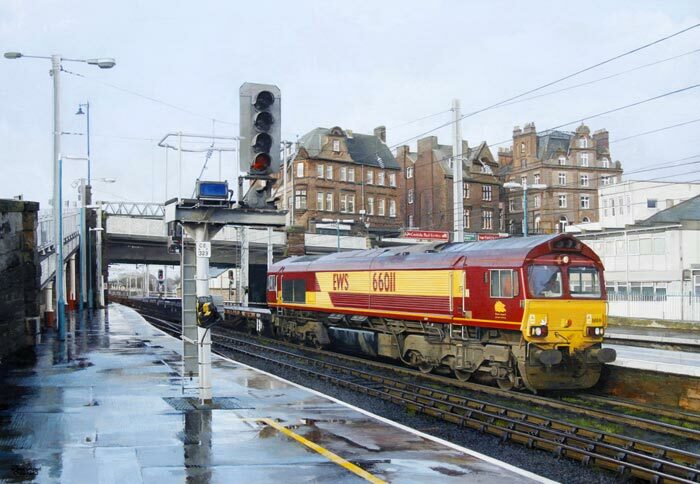 EWS class 66 runs through Carlisle Station. 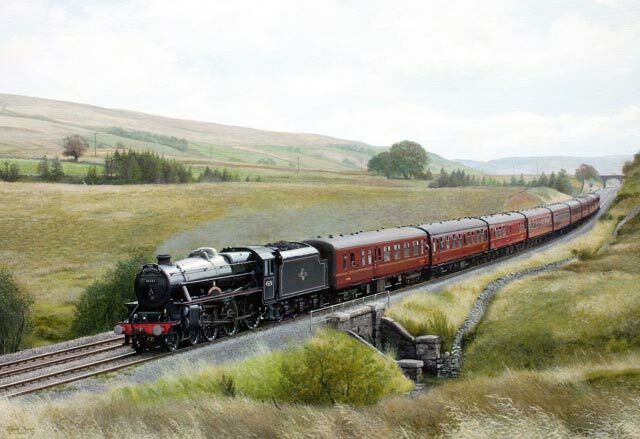 Stanier 4-6-0 Royal Scot on The Settle to Carlisle Railway. Union Pacific at Yuba Gap on Donner pass route in the USA.